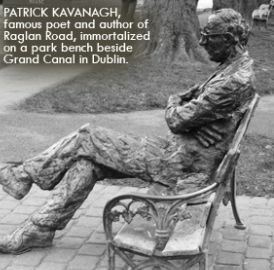 "On Raglan Road" is a well-known Irish song from a poem written by Irish poet Patrick Kavanagh named after Raglan Road in Ballsbridge, Dublin. 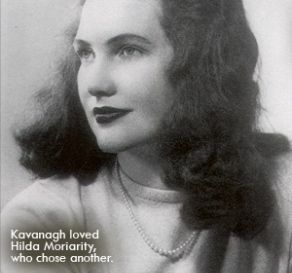 In the poem, the speaker recalls a love affair that he had with a young woman while walking on a "quiet street". Although the speaker knew that he would risk being hurt if he initiated a relationship, he did so anyway. The poem was put to music when the poet met Luke Kelly of the well-known Irish band The Dubliners in a pub in Dublin called The Bailey. It was set to the music of the traditional song "The Dawning of the Day" (Fáinne Geal an Lae) and was published by Edward Walsh in 1847.